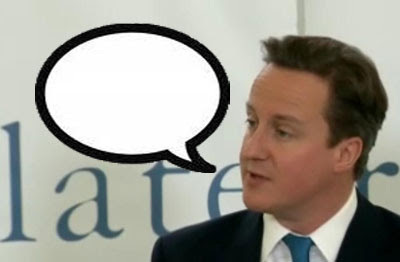 Last Friday David Cameron gave a speech to Relate in Leeds on families and relationships. 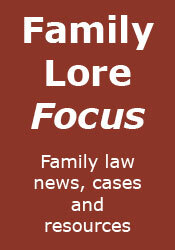 With a subject like that, I thought that there might be something in the speech of interest to readers of Family Lore. Accordingly, I dutifully read the full speech, eagerly checking for any nugget that the news reporters had missed. I have to report that I found little or nothing to tickle your fancy. OK, he said he wanted to see marriage and civil partnership recognised in the tax system (but there was no concrete commitment to this) and he announced funding for Relate "and other organisations working hard to support families". Otherwise, most of the rest of the speech seemed to me to comprise precisely the sort of fluff and ephemera that he indicated early on that he would avoid. I thought I might of missed something as I heard he was going to be making a speech on the subject. Thank you for clearing that up. Aparently nothing missed. A bit of a shame as would be nice to hear some news. Like that they were introducing pre nups, or parenting centres. Or assumption of shared parenting. Or abolishion of Cafcass and / or CSA and putting it back to the courts. All of which I would have welcomed. Instead I suppose we get hot air as per politician's important speeches. I think he was on the X-Factor last night. Personally I don't mind the politicians doing nothing, it's better than what they normally do. As per Hypocratic oath, do no harm. Problem is they have done quite a lot of harm already over the last few years and think the policy should be un-doing a lot of the legislation of the last 40 years, in family law especially. I've a relative who is a senior civil servant, and the gist I have from her (somewhat despairingly) is that while they're setting out procedures like nobody's business, this administration is impossible to pin down on policy.